If you work in a library beloved by both H. P. Lovecraft and Edgar Allan Poe, you have to expect the occasional haunting. Poe in particular left a significant impression, as the Athenaeum was where he courted – and was later dumped by – Sarah Helen Whitman. Poe died not long after they parted ways, and Whitman is said to have summoned his spirit in the library. Decades later, a man was found sleeping on the Athenaeum steps. When asked to move, he proceeded to yell, “The Conqueror Worm!” – the title of one of Poe’s poems – before vanishing into thin air. While nowadays the park is home to just a carousel, once upon a time there was a full amusement park there, with rides, a midway, a shore dining hall and the Alhambra Ballroom, which burned down in 1969. Visitors to the Looff Carousel report hauntings by those who died in the fire, as well as music that begins to play by itself and an apparition of a woman in old-time clothing. This current RISD dorm was once a funeral home, where the wake of none other than H. P. Lovecraft was held. It’s also purported to be one of the earliest sites in the country where embalming was practiced, so naturally it’s just a little bit haunted. RISD students have reported the usual paranormal activity, but nothing sounds quite as terrifying as waking up in the middle of the night to find your sheets pulled tight and the indentation of a ghost sitting on the edge of your bed. The building that currently houses Brown University’s administration, including the university’s president, was once the entirety of the Brown campus. During the Revolutionary War, the building was used as a hospital facility for colonial and French troops; you don’t need to know much about 18th-century medicine to know that a lot of soldiers died there. Faces have been seen peering through windows at night, surveying the Ivy League quad from beyond the grave. Benefit Street is lousy with ghosts. Why? Because when the city was expanding in its early days, the bodies that had once been buried in people's backyards had to be moved. Of course the city missed a few corpses – some things never change. Thomas Street has a few specific hauntings of note. One is in the eye-catching Fleur de Lys Studio, which is frequented by the ghost of a woman named Angela O’Leary. After her affair with a married mentor turned sour, Angela killed herself in the studio, where she has appeared as an apparition and, during renovations years ago, left handprints in the sawdust. Thomas Street is also home to a ghost who has been seen dancing in the street. Believed to be the resident of one of the street’s old boarding homes, she’s generally pleasant – the Casper of Providence, if you will. Now a National Historic Landmark, the Greene Homestead was once home to Revolutionary War general Nathanael Greene and his family. There are many stories of spooky happenings at the homestead, including a baby carriage moving and doors opening on their own, apparitions and phantom footsteps and even the sound of a phantom carriage approaching the home. Amasa Sprague, textile magnate and brother of governor and US senator William Sprague, was found beaten to death near his Cranston mansion in December 1843. John Gordon was accused and found guilty of the murder and sentenced to death by hanging. Gordon was the last person executed in Rhode Island, and in 2011, Governor Chafee pardoned him based on the lack of evidence supporting his conviction (historical documents show that there was a clear anti-Catholic/anti-Irish bias at play in the trial). But ghosts tend to hold a grudge. Sprague Mansion has been besieged by poltergeists ever since the murder – think mysterious unmaking of beds, flickering lights and disembodied footsteps. A walk through Fort Wetherill is guaranteed to give you the creeps. 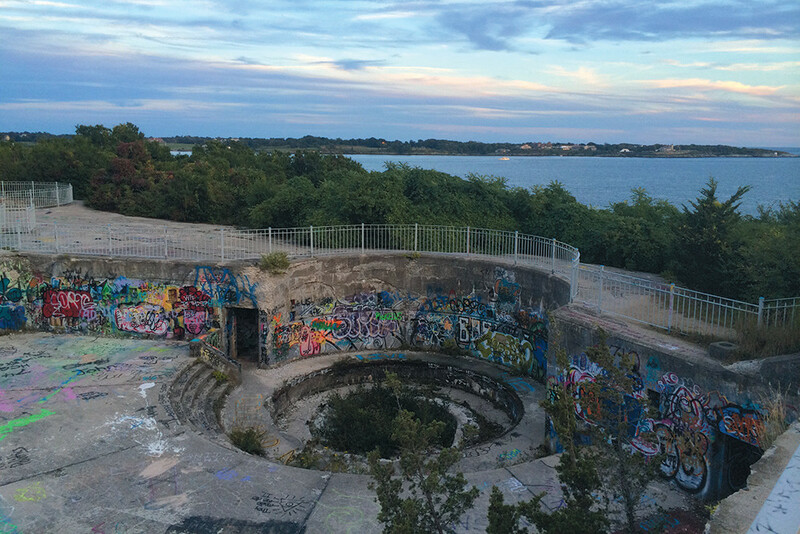 The abandoned artillery fort is littered with graffiti and things that go bump in the night, even in the middle of the day – which makes sense, because the site at the bottom of Conanicut Island has been used for military action since the Revolutionary War. There are legends of a ghostly black dog – a British omen of death – roaming the grounds, as well as other spooky apparitions. Considering the very different ideas we have about workers’ rights now, and the fact that children did some of the mill’s most dangerous jobs, it’s no surprise that the actual birthplace of the Industrial Revolution would have some bad juju inside. The location of frequent paranormal investigations, Slater Mill is full of reports of dark figures, including little ones. Of the many legends of hauntings on the Roger Williams campus, RWU’s barn is, hands down, the creepiest. Students and visitors report strange visions and sounds from “Banquo,” the barn’s ghost, who is rumored to be the spirit of a farmhand who froze to death inside the building when it was a working barn in Glocester. There’s a chair on the second floor reserved for Banquo, and students who sit in the chair have reported strange injuries afterwards. An otherwise sleepy cemetery is the site of the grave of Mercy Brown, better known as Rhode Island’s “real” vampire. 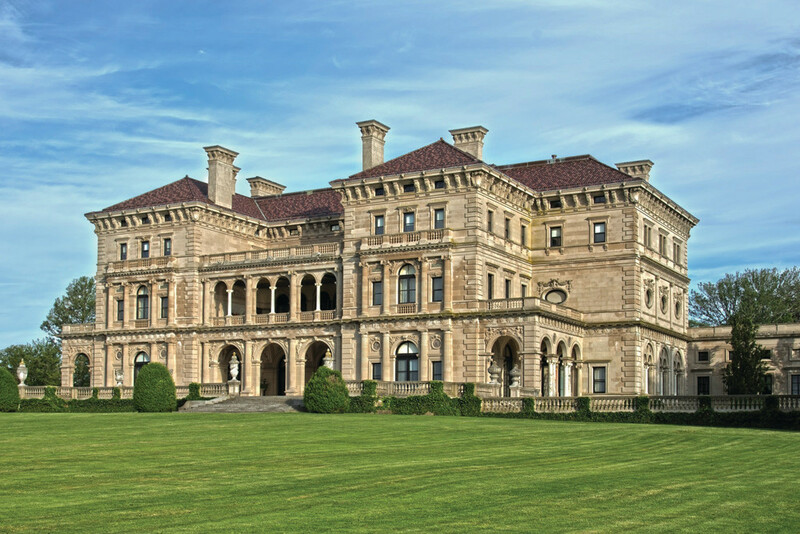 Mercy, as well as several of her family members, died of consumption at the height of New England’s vampire panic. When her brother became sick, people assumed that a vampire was preying on him and exhumed the rest of the family’s bodies for examination. All the bodies had decomposed except Mercy’s; in response, the exhumers burned her heart and gave the ashes to her brother to drink. Spoiler alert: he still died of consumption. Local legend describes Mercy’s ghost haunting the cemetery… and asking to be left alone so she can rest in peace. The challenging geography around Block Island has led to many shipwrecks. The most notorious of them is the wreck of the Princess Augusta in 1738, which was carrying Germans native to the Palatine region to the British colonies in the Americas. On the beleaguered trip, 200 of the 240 passengers died; the ship eventually ran aground at the north end of the island. Today, there are many accounts of the Palatine Light, an apparition of a glowing ghost ship in the waters around the island.